Apple has confirmed to The Verge that its T2 chip will limit the ability to repair new Macs as it feels that the chip is crucial to enabling modern security features on Mac computers. However, critics are concerned that Apple's move will greatly impact enthusiasts and third-party repair shops thereby preventing them from offering aftermarket services to Mac owners. 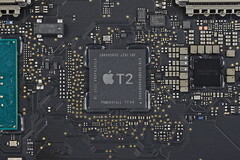 The T2 chip found in modern Mac computers acts as a security measure as it helps process Touch ID fingerprint data, enables secure boot, prevents the MacBook's microphones from being hacked when the lid is closed, and also enables the computer to respond to 'Hey Siri' voice commands. However, critics are getting increasingly worried that Apple could use the T2 chip to effectively shut down DIY enthusiasts and third-party Mac repair shops who will no longer be able to use non-Apple components to get a defective Mac working again. Apple has confirmed to The Verge that certain components such as the logic board and Touch ID require Apple-authorized parts and that the T2 chip helps in checking the authenticity of the replacement parts at boot. It did not, however, provide the full list of components that the T2 actually communicates with. Apple also did not comment on when this checking mechanism was actually introduced. Early last month, we reported on a leaked Apple document that detailed how only Apple Authorized Service Providers (AASPs) who have access to Apple Service Toolkit 2 (AST2) can perform repairs and component replacements on new Apple devices with the T2 co-processor. The T2 chip performs a check during post-repair boot and the AASP then runs AST2 on the repaired Mac to communicate to the Apple Global Service Exchange (GSX) server that the new parts are genuine. A negative feedback from the GSX server renders the machine inoperable. In an email to The Verge, iFixit CEO Kyle Weins opined that "the T2 is a guillotine that [Apple is] holding over product owners". Wiens goes on to say, "It's very possible the goal is to exert more control over who can perform repairs by limiting access to parts. This could be an attempt to grab more market share from the independent repair providers. Or it could be a threat to keep their authorized network in line. We just don’t know." According to the leaked document that we spoke about earlier, components such as the display assembly, logic board, top case, and Touch ID board in case of the MacBook Pro, and the logic board and flash storage in case of the iMac Pro require T2 authentication. Apple since has confirmed to The Verge that the display assembly will not require the AST2 tool to be run. The document did not cover the newly announced Mac Mini and MacBook Air as they weren't announced back then. Nevertheless, we know that they incorporate the T2 chip as well. However, it seems that this 'kill switch' isn't active yet, at least as of last month. iFixit tried replacing the screen of a 2018 MacBook Pro and even tried swapping logic boards but the notebook seemed to work just fine. Probably a future software update might make AST2 diagnostics mandatory for repairs, we do not know. The problem is not in Apple's policy per se, but in the manner the company has handled the communication (or lack thereof) in this regard — not too unlike the whole throttling iPhone fiasco. 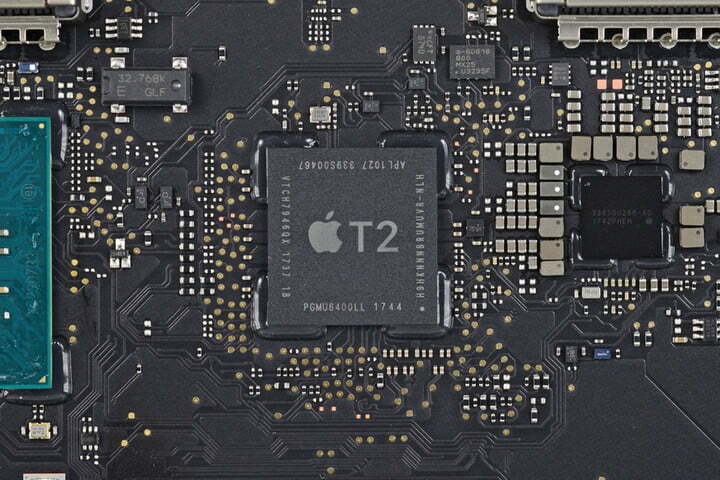 Do you think the Apple T2 chip is a necessary evil? Let us know in the comments below.